Prominent & Leading Manufacturer from Dadra, we offer polythene sheets. 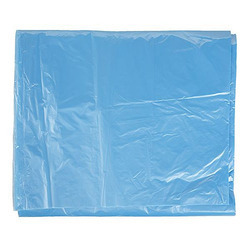 We offer a wide range of high quality Polythene Sheets to our valuable customers. The offered sheets are processed in accordance with the industry set standards. Available with us at highly affordable market prices, the offered sheets are used in different industrial applications such as packaging of various food items. To ensure a flawless sheet range, these are tested by our team of quality controllers on various parameters. Looking for Polythene Sheets ?